Summary: Christians can end up as confused as Nicodemus when we encounter Jesus saying, “Unless one is born again he cannot see the kingdom of God.” From rightly accepting that we are deficient, defective sinners, we wrongly move on to assuming that we have some control of our spiritual rebirth. However, Jesus’ words also mean, “Unless one is born from above he cannot see the kingdom of God.” It’s not enough to seek a “do-over” like a golfer’s mulligan. For no matter how often we might try to fix what is broken in us, when we start out as sinners, we remain sinners. Only when God works “top-down” — lavishing His blessings on us, pouring out the blood of Jesus that cleanses us from all our sins, baptizing us in His Triune Name, forgiving us all our sins — do we find ourselves made new as children of our Heavenly Father rather than children of wrath and damnation. Only when we are born from above are we truly born again and heirs of eternal life. Jesus answered him, “Are you the teacher of Israel and yet you do not understand these things? Truly, truly, I say to you, we speak of what we know, and bear witness to what we have seen, but you*** do not receive our testimony. If I have told you earthly things and you do not believe, how can you believe if I tell you heavenly things? Audio: Click to hear MP3 of Born from Above, preached to the saints at Saint Matthew Lutheran Church, Ernestville, Missouri. 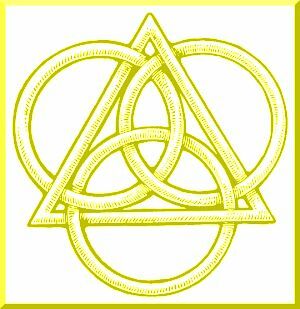 Trinity Sunday: Visit Aardvark Alley to learn more about The Feast of the Holy Trinity. *Or from above; Jesus appears to be intentionally ambiguous, especially in the first instance, in order to engage Nicodemus more deeply. 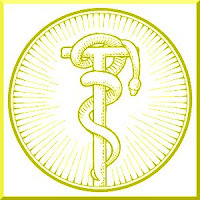 The second time is probably best understood in a both/and manner: Being born “again” reminds us that we are by nature born with fallen, sinful natures that must be undone through baptismal rebirth; being born “from above” tells us that we cannot save ourselves, it is a “top-down” birth, flowing from God. **The same Greek word may be translated either wind or spirit, depending upon context. ***You is plural here and four times in the next verse. It applies to the Jewish leaders, probably to the Pharisees in particular, since Nicodemus was a Pharisee and because they were the main educators in Judea at that time.